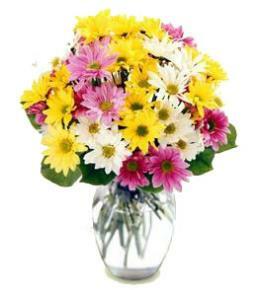 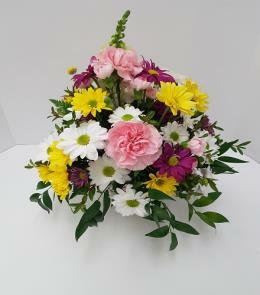 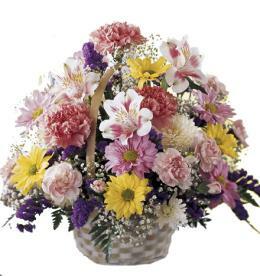 All their wishes will come true when they receive this bright and sunny flower arrangement - a flowery mix of yellow daisy chrysanthemums, red and orange carnations and more.. 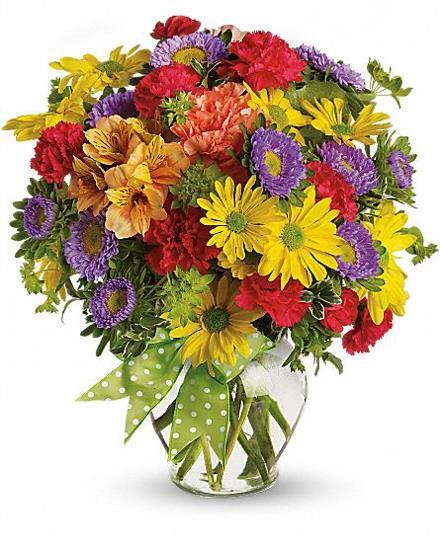 Send one today, and make someone's day! 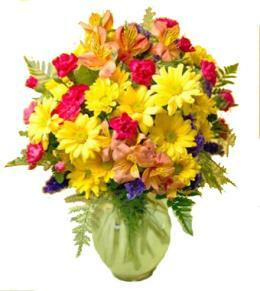 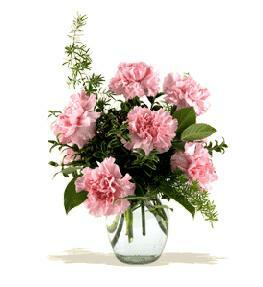 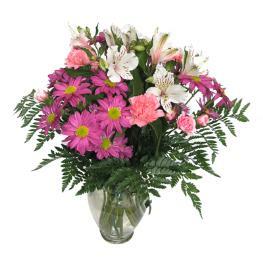 Birthday Flowers For Mom - Make a Wish with Vase.